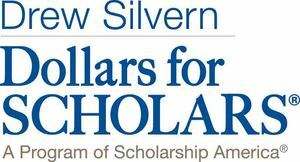 Founded in 2005, the Drew Silvern chapter of Dollars for Scholars has increased the number of scholarships each year from the four students in 2005 to about 22 scholarships annually. The mission is to help children of migrant workers get an education so they can help their families and communities. Because many of our students face the struggle of gaining financial aid, part-time employment, and dealing with immigration and second language issues, their accomplishments continue to impress the board members and mentors who read their application essays and meet them at interviews and the fund raiser. Our scholarship program provides scholarships each year to high school graduates and to students continuing in college. Our hope is to see each student through to a Bachelor’s Degree in four to five years. In addition to the financial assistance, we also provide mentorship and support to meet the challenges of higher education. You can learn more about these students, about Drew Silvern, and the scholarship at www.drewsilvernedfund.org. Volunteer opportunities: The Drew Silvern Dollars for Scholars is always looking for supporters to mentor scholarship recipients. Each scholarship recipient is assigned a Dollars for Scholars mentor. Mentors and students form connections that have an amazing impact on academic success. You can find out more about the program and how to volunteer here. Donations are greatly appreciated. Checks can be made out to Drew Silvern Dollars for Scholars and sent to: 4414 Mary Ellen Ave. Sherman Oaks, CA 91423.